Exploiting the Sea offers new perspectives on Britain's vital but changing relationship with the sea since the late nineteenth century. It assesses the significance to the British economy of sea-reliant industries such as shipping, shipbuilding, fishing, coastal trading and seaside tourism. It also seeks to explain why the clear pre-eminence that Britain established in the maritime world during the Victorian era has not been sustained in the twentieth century. Exploiting the Sea is a new volume in the highly successful series Exeter Maritime Studies, and brings together contributions from experts writing in their own specialist fields to give a wide-ranging but structured analytical approach to a misunderstood subject. Alan G. Jamieson is Leverhulme Research Fellow in British Maritime History in the Centre for Maritime Historical Studies, University of Exeter. David J Starkey graduated from the University of Leeds with a degree in Economic History. He then gained an MA in the History of the Atlantic Economy at the University of Exeter, which led to doctoral research into the character, scale and significance of British privateering in the eighteenth century. Having gained his PhD, Dr Starkey was appointed Research Fellow in the Maritime History of Devon project at the University of Exeter, an appointment that was followed by two further research fellowships in maritime history at Exeter. In 1994, Dr Starkey joined the History Department at Hull when he became the holder of the first permanent lectureship to be dedicated to maritime historical studies in the UK university sector - the Wilson Family Lectureship in Maritime History. Dr Starkey is Director of the Maritime Historical Studies Centre at the University of Hull. The strength of these papers lies in their breadth. They are well written and researched pieces, and there will be few maritime historians who won't find something new and interesting amongst these studies. A fascinating history that contains many lessons for those currently involved in the maritime industries. A collection that considers a very wide range of the functional aspects of Britain's relative and absolute maritime decline. 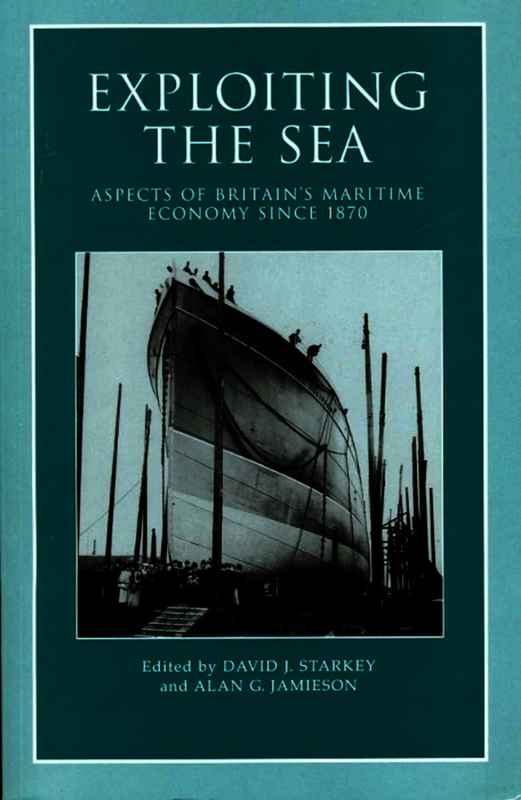 Within the confines of 220 pages these studies provide a concise and valuable insight into some of the economic, political and social forces that have helped to reduce Britain’s former maritime pre-eminence . . . recommended to all who would wish to widen their nautical horizons. David J Starkey is Professor of Maritime History and Director of the Maritime Historical Studies Centre at the University of Hull. Alan G. Jamieson is Leverhulme Research Fellow in British Maritime History in the Centre for Maritime Historical Studies, University of Exeter.